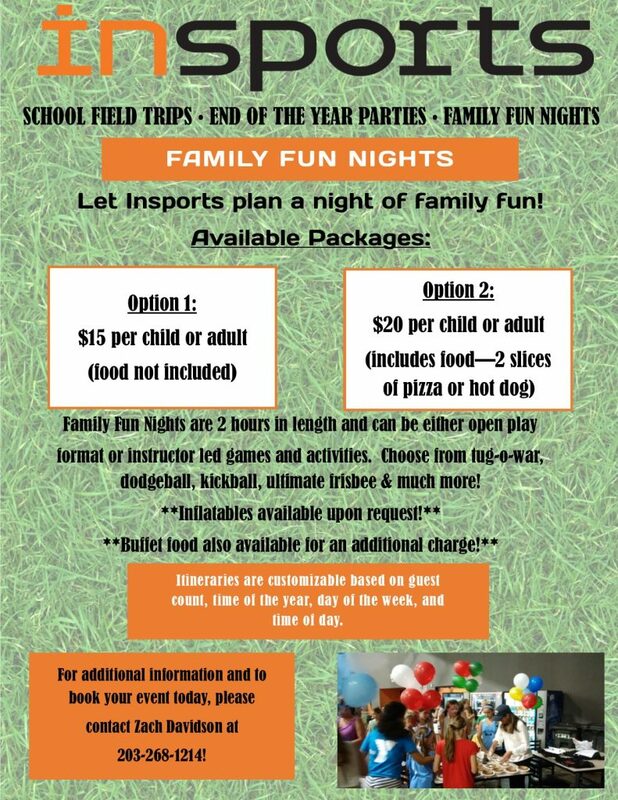 Let Insports plan a night of family fun! Family Fun Nights are 2 hours long and can either be open play format or instructor led games and activities. All itineraries are customizable based on guest count, time of the year, day of the week and time of day.